Get optimal setup of your mountain bike – on the individual session with an expert! Height and position of the saddle, handlebars, brake and shift levers and basic suspension setup. Together with practical demonstration of riding in bike park and explanation how settings influence your riding. Ideal for everybody who just bought a new bike or every other mountain biker that wants to have better settings of the bike. In a way this is “bike fitting” on terrain. Professional mountain biker Žiga Pandur will do all the setting with you. He devoted big part of his cycling career to bike and suspension setup, which helped him get top results and earn a status of SRAM Field Test Rider; this means is one of the very few selected people that get to test prototypes of the new SRAM components. Price for the session is 69,90 Euros, workshop will last two hours. 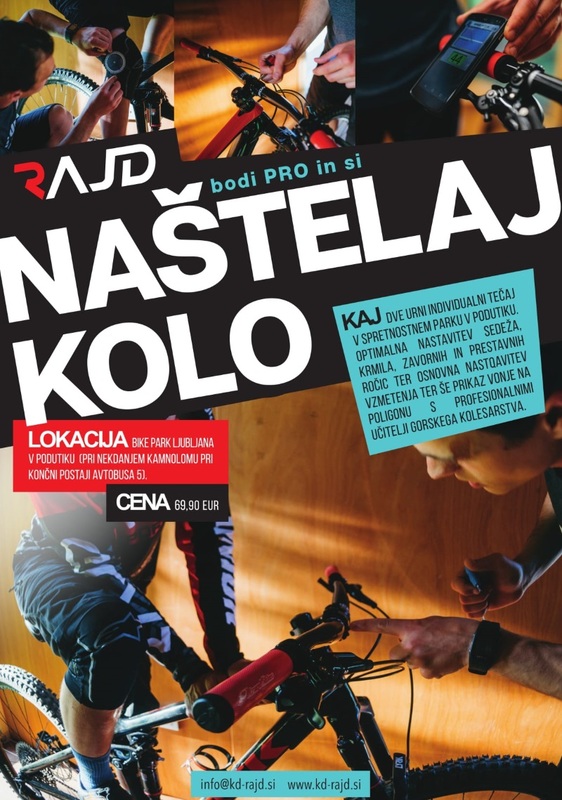 It will take place in Bike Park Ljubljana. Registration and information are available on our e-mail address.